President Dr. George Manneh Weah at the weekend sent two separate condolence messages to the Republics of Zimbabwe and Mozambique following a tragic flooding and heavy down pour of rainfall which resulted to the deaths of dozens of people and injury of scores of others in the two east African countries respectively. According to a Foreign Ministry release, President George Manneh Weah expressed profound sadness and deep sorrow over the deaths of more than two hundred and fifty-nine (259) persons and injury of many more in Zimbabwe, as well as the deaths of at least One Thousand (1000) persons with more than Seven Hundred Fifty (750) others injured in Mozambique as a result of flooding and heavy rainfall due to an unusual storm which hit the Port City of Biera, in Mozambique and neighboring countries respectively. In his condolence message to President Emerson Mnangagwa of Zimbabwe, Dr. George Manneh Weah on behalf of the Government and people of Liberia, and in his own name, extended heartfelt condolences to President Emerson Mnangagwa, and through him, to the Government and people of Zimbabwe for the irreparable loss sustained. 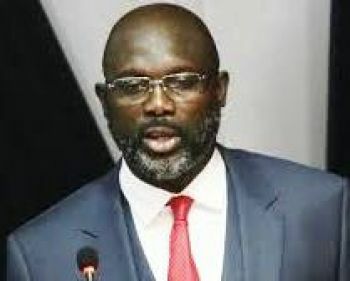 To the Government and people of Mozambique, President George Manneh Weah, on behalf of Liberia, conveyed heartfelt condolences to President Filipe Jacinto Nyusi, and through him, to the Government and people of Mozambique for the irreparable loss sustained. The Liberian leader then prayed that the people of Zimbabwe and Mozambique will find comfort, fortitude and endurance during this difficult period of mourning.